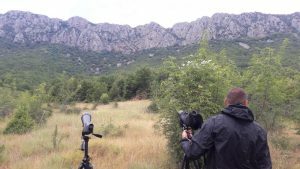 The intensive monitoring activities of the known Egyptian Vulture’s territories were restarted this year by the Macedonian Ecological society within the project “Egyptian Vulture new LIFE” financed by the LIFE program from the European Union (LIFE16 NAT/BG/000874). Sadly, our expectation was confirmed. 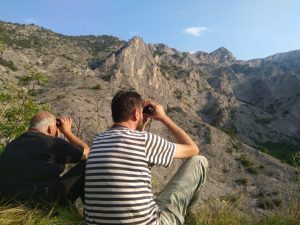 The results from this year’s monitoring suggest that the population of the Egyptian Vulture in Macedonia is still in decline. This year marks the all-time low, with 13-14 pairs recorded throughout the whole country. This result clearly states that the numbers are constantly dropping having in mind that only in 2014 we counted 18-20 pairs while in 2013 there were 20-21 pairs. The Egyptian Vulture is a globally endangered species according to the International Union for Conservation of Nature (IUCN). It is strictly protected by the Bern and Bonn International Conventions, as well as by the Convention on International Trade in Endangered Species (CITES). In our legislation it is on the list of strictly protected species. The Republic of Macedonia is one of the last countries in the Balkan where the species can still be observed. In the past it’s presence was a common sight, but now their numbers are estimated to be less than 90 pairs in the Balkan. The reason for the vulture population decline is mainly the anthropogenic influence like illegal use of poison, poaching, disturbance, habitat loss, electrocution, wind-farm generator collision and lack of food due to abandonment of traditional farming practices. 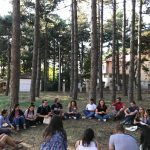 Having this in mind, the Macedonian Ecological Society will put efforts in the following period in mitigating these threats within the “Egyptian Vulture New LIFE” and the Balkan Anti Poison Project.